Easily capture, merge and share compilations of life's best moments with the Relivit app for iPhone. 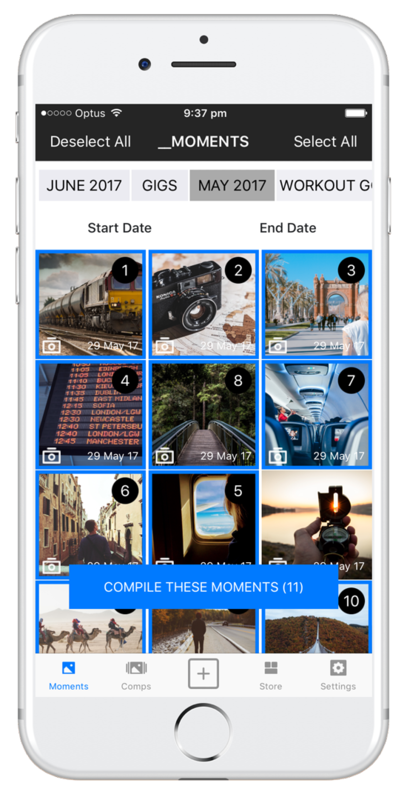 RELIVIT allows anyone to easily capture, curate and merge together short videos (up to 3 seconds each) and photos of life's best moments. Free to download until the end of June. Normally $7.99. Don't miss out. Our aim is simple - we want everyone to be able to easily capture, curate, compile and share videos of life's best moments. We are always looking to improve, and will be releasing regular updates. We appreciate your reviews, and would love 5 stars if you love RELIVIT. We also equally value any suggestions you have for the app and promise to incorporate great suggestions in our updates. Review the Relivit Privacy Statement.